This is the Mario Kart 64 Nintendo 64 Game cartridge. It has been Cleaned, Tested, and is Guaranteed to Work! 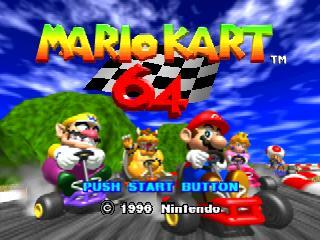 Mario Kart 64 is the sequel to Super Mario Kart for the Super Nintendo Entertainment System. Changes from the original include the move to 3D computer graphics and the inclusion of four-player support. Players take control of characters from the Mario universe, who race around a variety of tracks with items that can either harm opponents or aid the user. 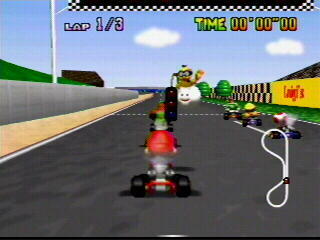 Mario Kart 64 features eight playable characters - Mario, Luigi, Donkey Kong, Wario, Bowser, Princess Peach, Yoshi, and Toad. There are four different modes you can choose from - Grand Prix, Time Trial, Versus, and Battle mode. 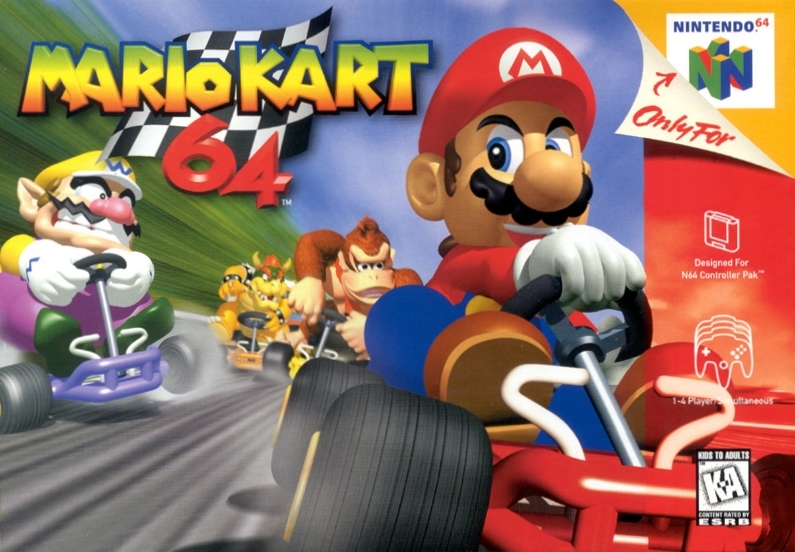 Mario Kart 64 received overall very positive reviews and is one of the best selling Nintendo 64 games of all time. 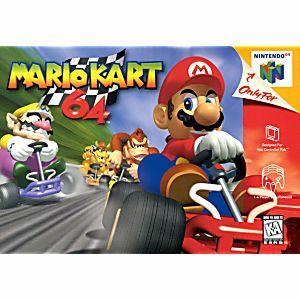 The single-player mode is enjoyable but the game truly shines when you play against your friends, it is widely considered to be one of the best multi-player games for the N64. What a great game. A staple.for.any N64 collection. Highly addicting and super fun gameplay! 4 player multiplayer is a blast! Work in a good condition. Introducing my kids to some of the fun games from my childhood. This is one of the must have games in my opinion. Great fun, just like I remember it. And the kids love it too! The cartridge didn't work straight out of the box, tried the old "blow on it" trick and also cleaned the contacts with alcohol and a q-tip - and now it's working great overtime!! Thanks Lukie Games! Love this game! Been years since my son 'lost' it. Forgot how challenging it was. Blamed my losses on the controller, so I ordered new ones. N64 All The Way! just as I remember! perfect! In great condition and works great my son is very happy. Shipping took 3 weeks. Great ! Game.. it works great. Very happy with the product. Works great and is an absolute blast to play again after all these years. Well done lukiegames!